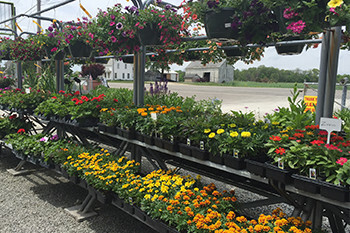 Indianapolis Garden Center | Frady's Lawn & Landscape Inc.
For more than 40 years, Frady’s Lawn & Landscape has provided Hoosiers with a variety of top-notch landscaping services. 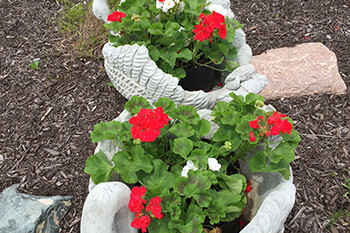 From the most beautiful flowers, trees, and bushes to low maintenance landscaping ideas and unique statuary, Frady’s offers almost anything you can think of for your lawn and garden needs. At Frady’s, no job is too big or too small to tackle. Regardless of your budget, we want your landscape to be as perfect as possible and help turn your idea of a dream yard into reality. 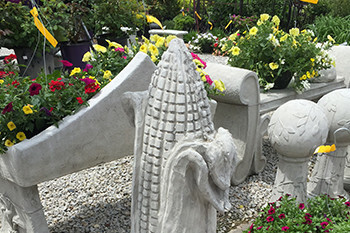 Our vast selection of products and garden decor will spruce up any space. We carry bagged and bulk mulch, stone, soil and sand for finishing touches you may need around your yard. Add a bit of floral flare to your patio, deck, or outdoor space. We offer a wide variety of plant species to make your outdoor space complete, including annuals, perennials, trees and shrubs. From simple landscaping and garden ideas to more complex landscape architecture, Frady’s is up to the task. Design your dream outdoor space and our team will make it a reality.